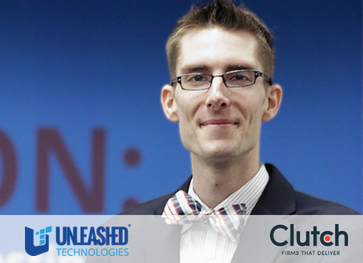 Scott Greenwell, founding partner and Chief Operating Officer at Unleashed Technologies, was recently interviewed by Clutch.co a leading B2B rating and review website about the comparisons between WordPress and Drupal. Scott provided observations into what important considerations anyone should think about when choosing a content management platform. As part of Clutch's interview, Greenwell presented insight into topics such as the impressive features of both platforms, limitations or drawbacks, security, ongoing support, and functionality. To view the full interview with Clutch, click here. If you would like to discuss either platform Drupal or WordPress and find out which best fits your organization, contact us at Unleashed Technologies.